The Delgatie is a spacious bungalow with separate lounge and dining rooms. 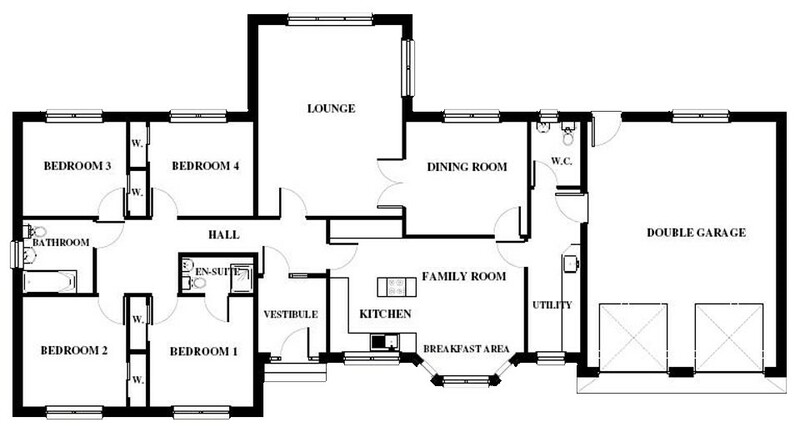 It also provides a kitchen / family room along with a separate utility room and W/C. with direct access to the spacious double garage. Four bedrooms and a bathroom are located together at one side of the house with the master bedroom also providing en-suite facilities.